What does Sponsorship get me? Sponsorship is for everyone - individuals and groups who want to show their spirit as fans, and businesses who want to promote their product or brand. 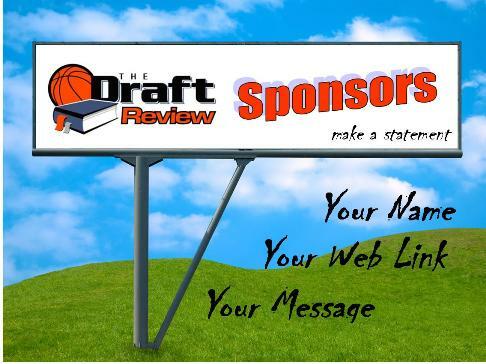 Get your name and message with optional text link exclusively displayed on the TDR web pages of your choice - choose from: player profiles, collegiate & NBA teams pages, state pages, historical draft boards, etc. View our Texas Longhorns sponsor. Contact us to get started. Customized options upon request. Certain guidelines and restrictions apply. Subject to page availability and approval of personal/business message.